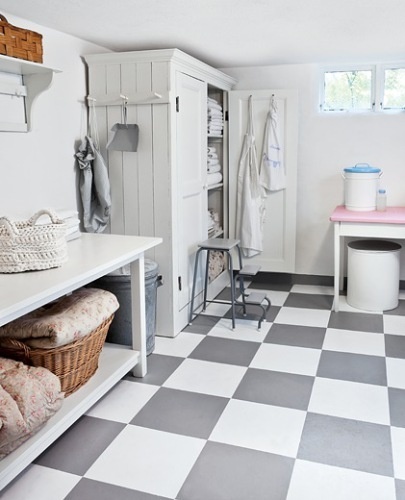 Okay, now isn't the laundry room really one of the last places we think about decorating...but it seems we tend to spend so much of our time in there! It is not a place I like to hang out but if it looked a bit nicer maybe it would be less painful to do the laundry. 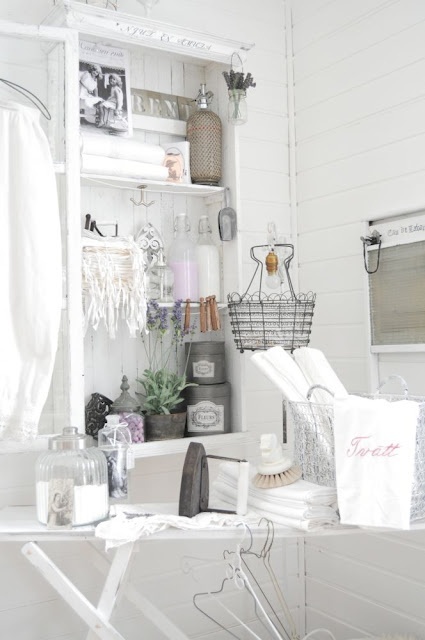 So much fun to have a vintage looking space to do laundry like in these photos. Adding cute accessories is key...and of course a really good washer and dryer! 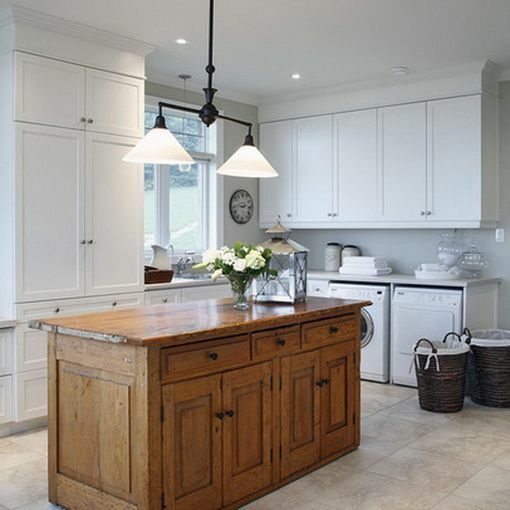 Other good investments for the laundry room that make a big difference are: fun lighting (not something I would have thought about for the laundry room, which is strange because it is all I think about everywhere else in the house), a big table or folding space, a chair and some storage space!